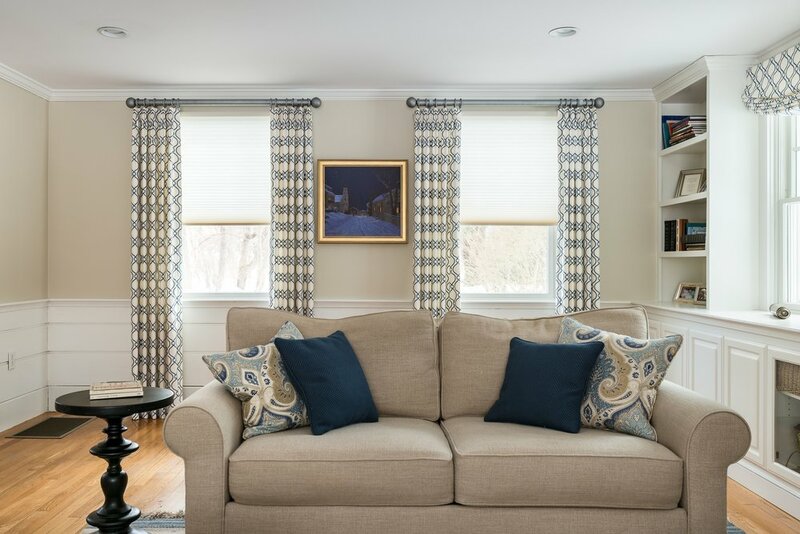 Our custom draperies will dress your home with elegance and can be layered with other window treatment styles for the perfect, custom look. We work with a large variety of fabric vendors to bring you the best options in style, color, pattern, and function. Our custom Roman shades are perfect for adding style to your kitchen, living room, bathroom, and more. They can be layered with other shades or blinds if you require more privacy or used solo to grace the top of your windows. 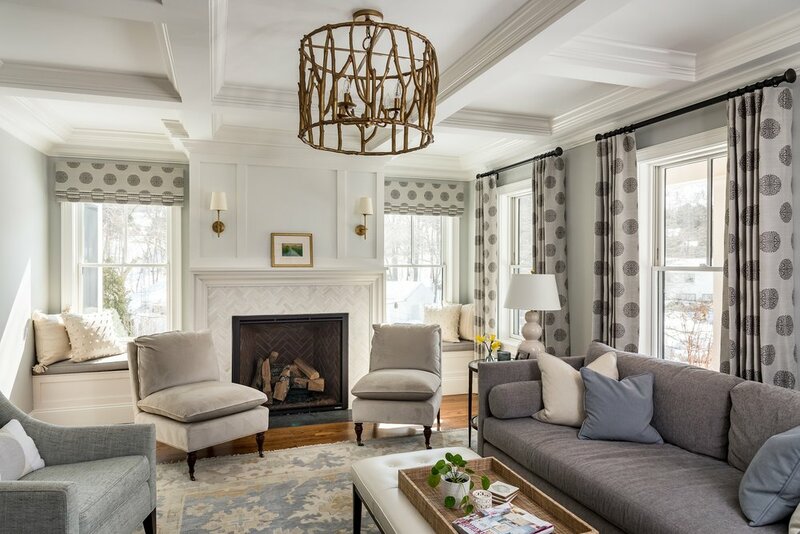 From valances to cornices and beyond, we offer hand-crafted top treatments that can be paired with drapery panels, blinds, or can be used alone. Either way, our top treatments provide a tasteful accent to any space and pull together the various style elements of your home. Our blinds, shades, and shutters are custom designed and ordered for your space. We help you determine which style will provide the best aesthetic and most useful function, and we also provide input on materials (faux or real wood, woven, etc) on a per room basis. We also offer Hunter Douglas window treatment motorization and will help you determine the best use and placement of this technology. Motorization is ideal for hard-to-reach windows and for automating the open / close of your treatments based on the time of day. Our vast window treatment resources provide the finishing touch to your draperies, Roman shades, and more. With a variety of colors, styles, fabrics, and finishes to choose from, we help you select the best options for your windows and your space. Our custom bedding, pillows, and upholstery (of new or existing furniture) makes each room in your home a dream. We source from a wide selection of fabric vendors to offer everything from elegance to stain resistance that will match any aesthetic. We understand that design decisions can be difficult. That’s why we make it a top priority to collaborate with you and your interior designer as we craft the perfect pieces for your home. Whether you are the homeowner or the interior designer, we can’t wait to work with you. “Suzy is the kind of professional you hope to meet and when you do, recommend her to all your friends and family. Suzy has made four gorgeous floor-length drapery panels for my living room and faux roman shades for my kitchen. Are You Ready to Dress Your Space?